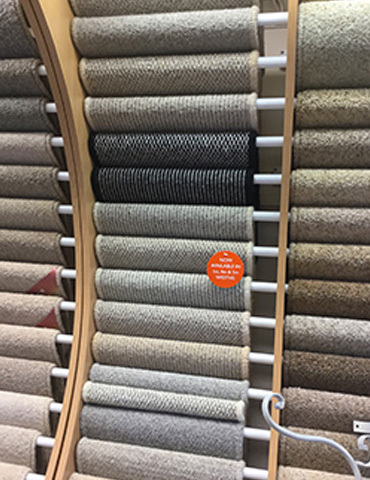 The quality carpet and flooring available incluing the infamous lakeland herwick to buy at Cromptons Quality Furnishers in Grange-Over-Sands, gives you unbeatable value and the finest standard of manufacture available in the Cumbria area. 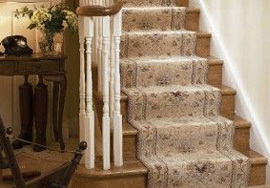 We supply only the best, with carpets and flooring from Ulster, Penthouse, Brockway Carpets & Roger Fells, to name just a few. 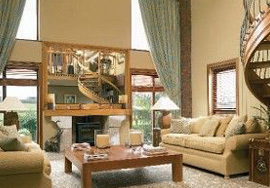 The ranges are vast, the choice rich and the prices perfect. 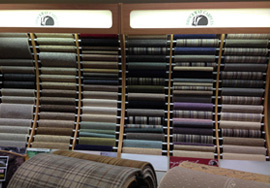 We even have an expert carpet planning and fitting service available to ensure you get the most from your selection. Rhinofloor vinyl flooring by Armstrong, is some of the best-looking inexpensive vinyl flooring available. Designed with both slip – and dirt – resistance, the texture of good vinyl flooring from Rhinofloor offers a safer option than most tile and wood-based flooring. The dirt-resistant treatment of Rhinofloor also makes it very durable and reduces the rate at which the flooring fades over time, making Rhinofloor vinyl flooring a fantastic option for any home or business. The environmentally friendly Frobo Flooring Systems offer high-quality commercial and residential floor covering solutions. 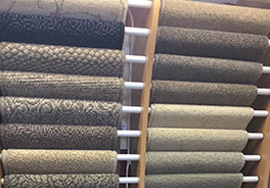 With a great choice of functional yet stylish linoleum, carpet tiles, project vinyls, entrance matting systems, and needle felt for the commercial customer, along with cushion vinyls and linoleum for the home, Frobo are sure to have something to suit most requirements. These ultra-hard-wearing and non-slip materials make them an excellent and more cost-effective means of flooring large spaces, along with particularly busy or dirty areas. Contact us today and we will be happy to assist you. At Cromptons Quality Furnishers in Grange-Over-Sands, Cumbria, we sell just about everything you could want in home furnishings, soft furnishings and accessories.